The advent of GPS in cell-phones and car navigation systems has done a lot to render this technology accessible for a variety of users, devices are now only 10-20 g in weight, and can cost as little as $100 a piece. Satellite telemetry was first used to study flying birds in 1999 when 300 g satellite tags were deployed on massive albatrosses weighing over 9 kgs. But like the cell-phones of the day, the devices were ‘miniature’ only in a relative sense. 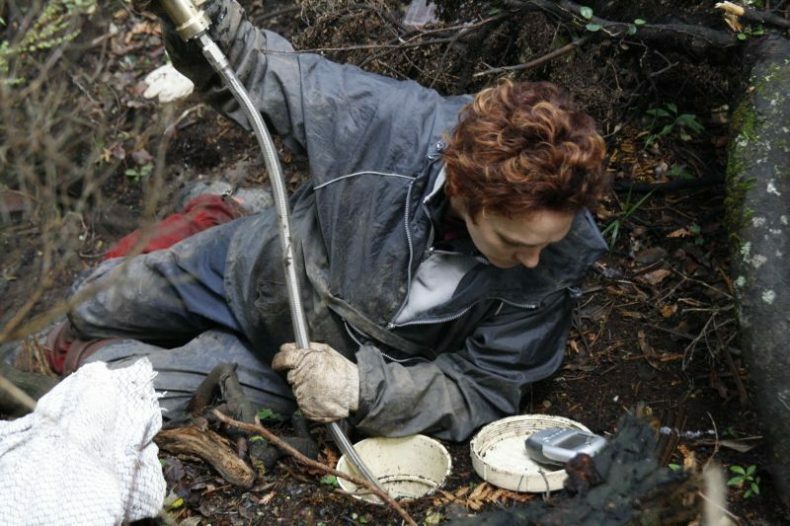 While most of you were tucking into your Easter eggs this year, researchers from Te Papa were deploying miniature GPS tags on a unique species of seabird, found nesting only on the west coast of the South Island. 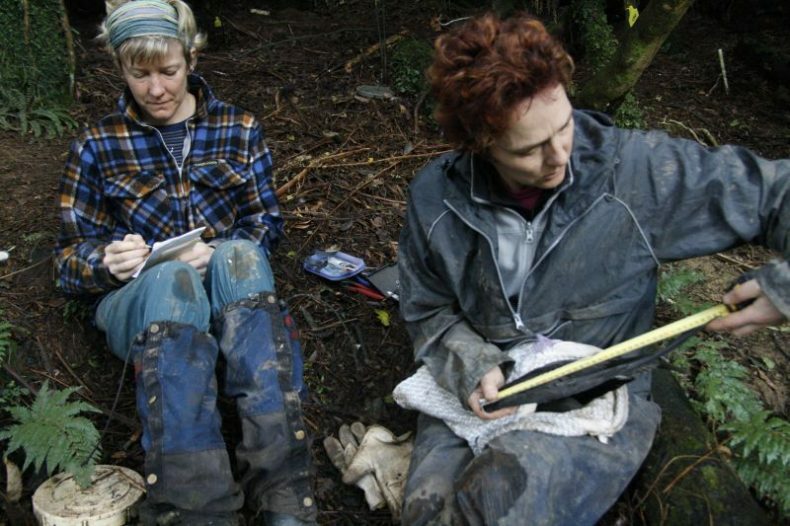 Dr Susan Waugh, Senior Curator for Natural Environment heads up a research programme to study the population characteristics of Westland Petrels and their movements at sea. The Westland Petrel nests in dense bush in the hills behind Barrytown,Westland, with a total population of around 4,000 pairs. They breed in the winter, and maintain burrows up to 2 m long. Each evening, birds circle above their breeding areas waiting for the dusk to fall, and then plummet spectacularly to the ground, often landing within a few metres of their own hole-in-the-ground. 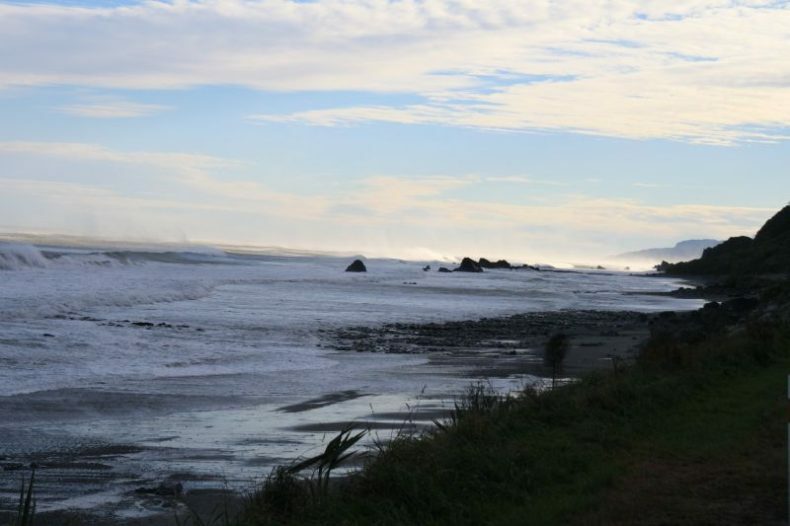 Loggers deployed for the first time ever during the period before birds laid their eggs showed that they are concentrating their feeding in near-shore areas from Haast to Karamea, but also occur frequently in Cook Strait and around Kaikoura. Some birds were going to sea each day, and returning to carry out territorial activities and nest-building at night. 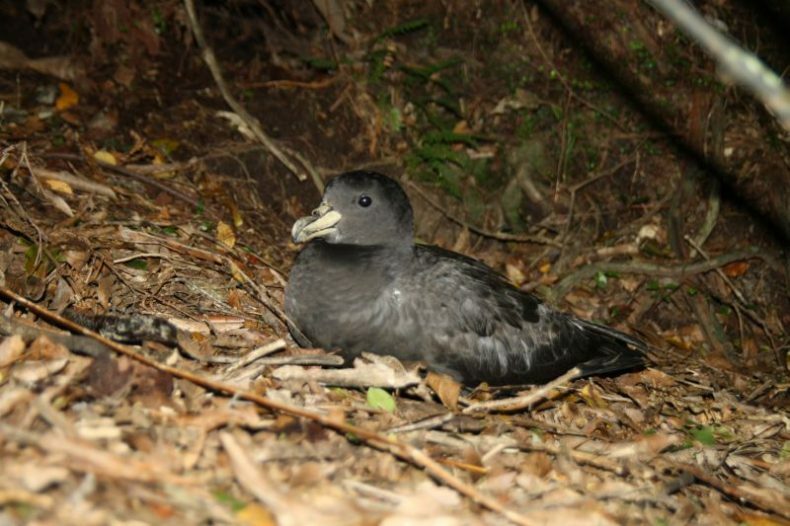 Westland Petrels are some of the around 80 species of seabird that breed in New Zealand. The diversity of these birds in New Zealand is one of the unique features of our marine zone. While the birds, from penguins, petrels, shearwaters, and albatrosses breed on land, they gather all of their food in the sea. Because of this, they are exposed to threats both on land and at sea. Te Papa research is actively contributing to understanding the species and the factors affecting them. Great to read these stories and keep up to date with you research on the Coast.